Lease accounting software effectively manages and minimizes financial risk associated with lease portfolios. 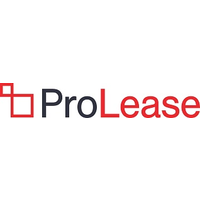 It also centralizes the processes and lifecycles of lease portfolios. The software automates the previously manual process of keeping track of journal entries, each lease’s audit trail, and whether a lease is an operating or financing lease. Lease accounting functionality has always existed in some capacity, buried within lease administration or real estate asset management software, but its current form facilitates the compliance of businesses to FASB and IASB regulations. Lease accounting software prepares businesses for critical dates for financial audits and reviews. In addition, lease accounting software can, and usually does, integrate with ERP systems to automate the creation of general ledger journal entries. The software can also integrate with existing POS and accounting systems, as it helps businesses get full visibility of the entire lease portfolio. Lease Accounting reviews by real, verified users. Find unbiased ratings on user satisfaction, features, and price based on the most reviews available anywhere. CoStar Real Estate Manager harnesses real estate and lease data in order to make smarter decisions and enable teams to work together more efficiently with our platform of cloud-based software, professional services and industry-leading market information. LeaseAccelerator offers the market-leading SaaS solution for Enterprise Lease Accounting, enabling compliance with SOX, SEC, and current and new FASB and IFRS standards. Using LeaseAccelerator’s proprietary asset-based Global Lease Accounting Engine, customers can account for all categories of leases including real estate, fleet, IT, material handling, and other equipment at an asset level. On average, LeaseAccelerator’s Lease Sourcing and Management applications generate savings of 17 percent on equipment leasing costs with smarter procurement and end-of-term management. Tango's Lease Administration software is fully integrated with the entire location lifecycle, quick to implement and easy to use. RAMs lease accounting software provides better visibility of lease exposure and improves lease management while assisting in compliance with the new FASB and IASB regulations taking effect in 2019. Fast, simple, automated accounting for your leases. Compliant with IFRS16 / AASB16 and ASC 842. MarketEdge is a tool that helps commercial real estate brokers analyze lease offers and create branded collateral for their properties. MarketEdge features financial analyses, persuasive marketing, and private deal rooms. Netgain's Netlease Management Tool is here to help your business operationalize these requirements embedded into the NetSuite platform. Your complete lease management, lease accounting and contract management solution. PowerPlan Lease Accounting is a solution provides complete lifecycle accounting for leases and ensures compliance with new standards. SOFT4 is a brand for industry-specific software solutions built on the Microsoft Dynamics NAV platform. Hi there! Can I help you find the best Lease Accounting solutions?